your thoughts in the comment section. <i>Nothing Was The Same</i> in stores now! This morning Kendrick Lamar called into Hot97 and talked to Peter Rosenberg about his verse on Big Sean’s “Control”. Last night Funk Flex premiered a new song from Big Sean featuring Kendrick Lamar x Jay Electronica. Big Sean says this song won’t make the album (Hall of Fame – Aug. 24th) due to issues with sample clearances. 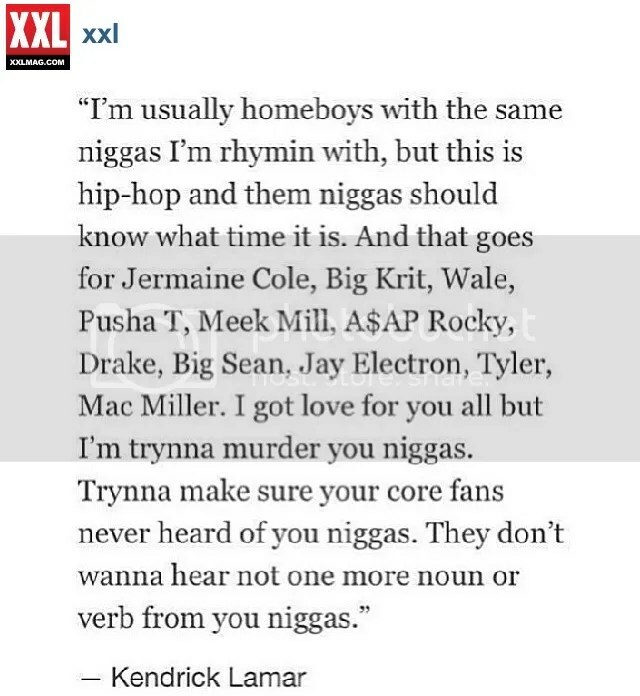 Kendrick delivered some powerfull bars calling out some other rappers (in the sport of competition). Check below for some reactions from rappers on twitter to Kendrick’s verse. Juicy J releases the tracklist to Stay Trippy scheduled to release August 27th.